Are you a history buff, an aviation fanatic, or do you just enjoy going back in time? Then the Arizona Commemorative Air Force Museum or AZCAF is a destination just for you. AZCAF was founded in 1977 as the 10th chapter of the Commemorative Air Force. We are a non-profit organization staffed 99.9% by dedicated volunteers who honor our mission to restore, preserve, and remember the ingenuity and sacrifices of past generations. At the only combat aviation museum in Phoenix, you’ll take an edu-venture through history and learn how aircraft evolved as a heroic partner to ground and sea operations from WWI to present. You’ll have a chance to get up close and personal with history and interact with our friendly docents who are the keepers of nostalgic, inspirational stories and are at your service to answer any questions or lead a tour through our collection of artifacts and exhibits. With seven flyable warbirds that offer Living History rides, like the fully-restored and rare B-17 and B-25 Bombers, you can relive the past or feel what it was like to travel back in time. The AZCAF has 55,000 square feet of historical airplanes, relics, and educational exhibits, in addition to a working mechanics hangar. As a Trip-Advisor Winner of Excellence, it’s one of the top-rated adventure attractions in Phoenix and regularly conducts tours for schools, businesses, and youth groups. This museum is like no other. Not only can you climb aboard a WWII warbird, but you can watch aircraft mechanics bring their muscular engines to life. Better yet, you can book a once-in- a-lifetime flight in one of the authentic warbirds. Choose among the seven WWII aircraft, from an open biplane to the rarest bombers in the world. And don’t forget to stop by our museum PX gift store and bring home a unique gift or something for yourself. We hope that you will follow us through our blog or social channels to learn more about AZCAF and our members. 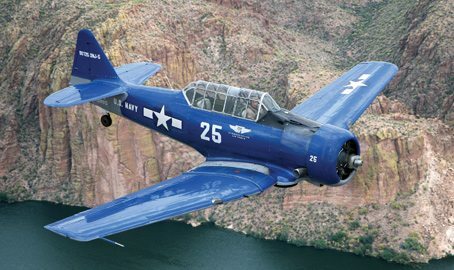 Click here to read more about the Arizona Commemorative Air Force Museum.